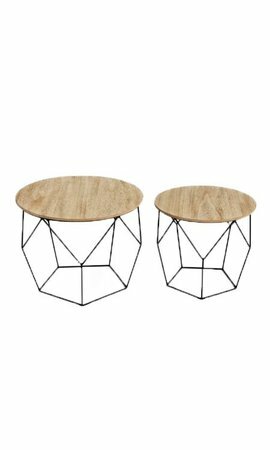 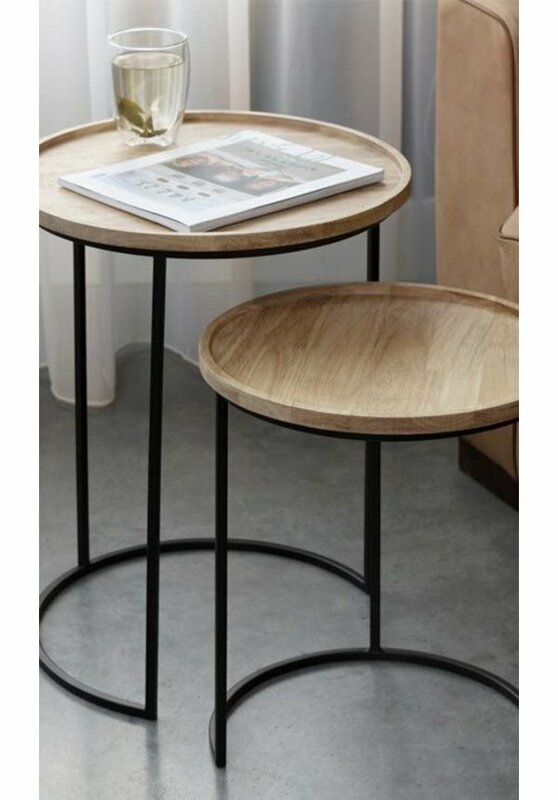 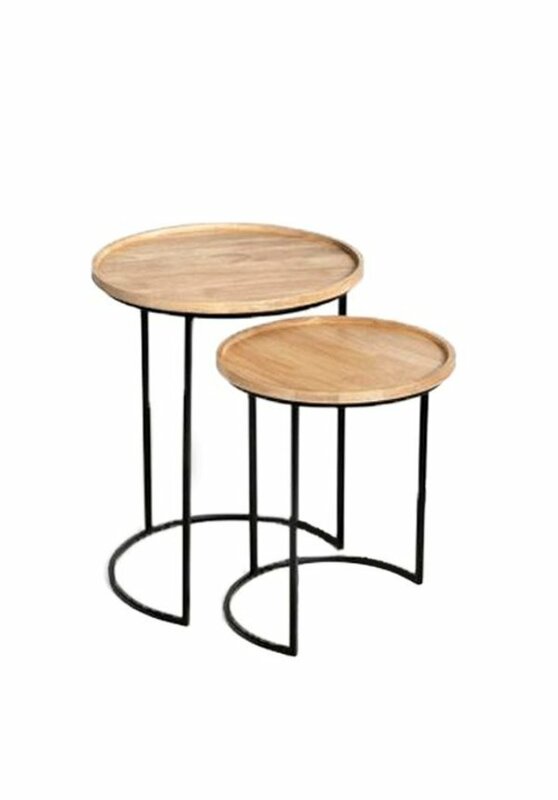 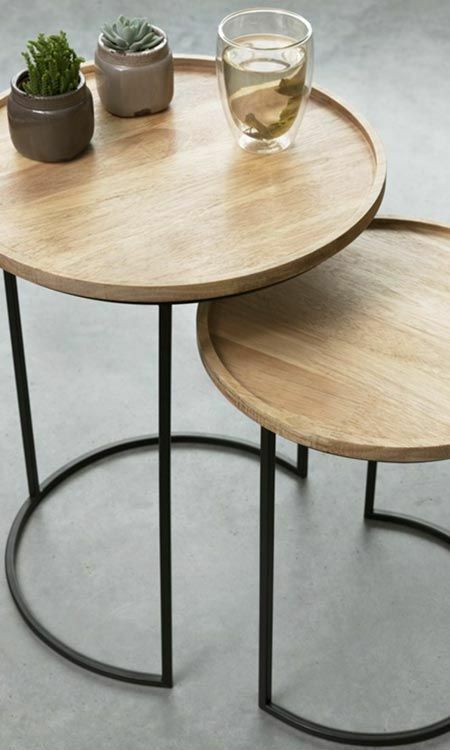 These Eva side tables consists of two tables in different sizes. 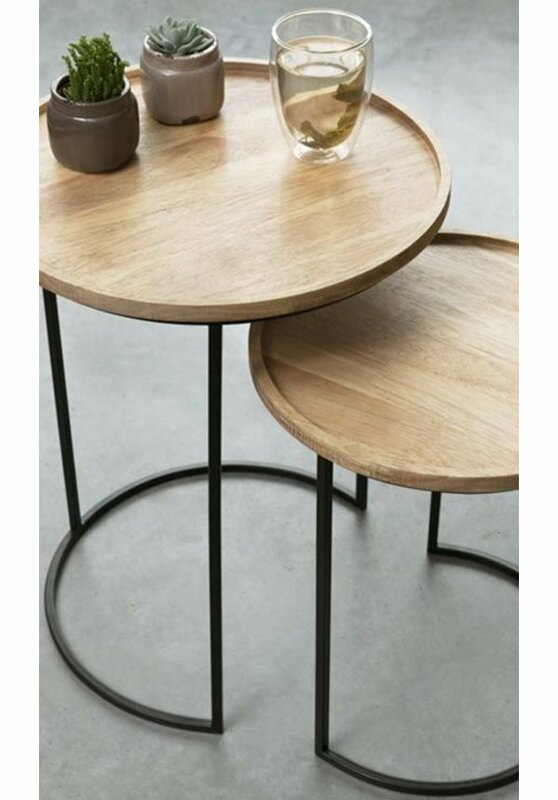 The tables are both made of metal with a wooden top. 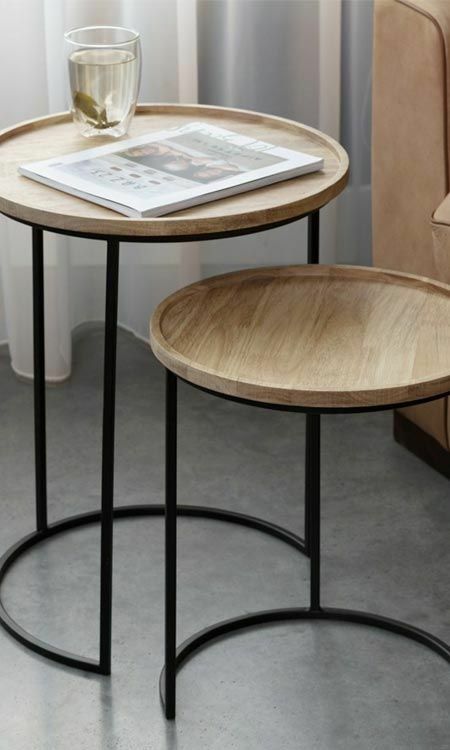 Dimension: small table: 34 cm diameter, 40 cm long. 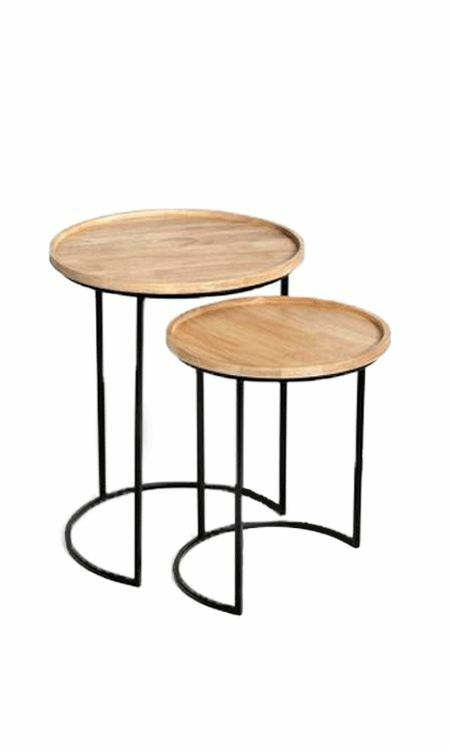 Large table: 40 cm diameter, 50 cm long.